Mid bloomer. Yellow to tan irregular flowers, some with purple to tan/orange tint. Climbing vine, food for blue butterflies. 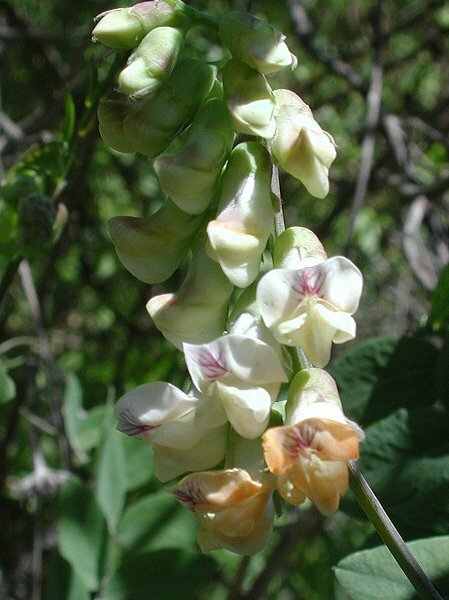 Notes: Also called Brewer’s Pea. Has sprawling stems, prefers semi-shaded western slopes.